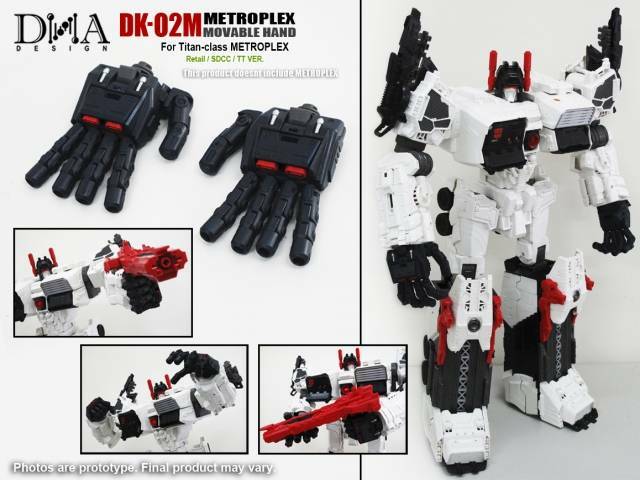 This upgrade kit by DNA Design features one set of movable hands for Generations Titan Class Metroplex! These hands are compatible with the Takara/Tomy, Hasbro and SDCC versions of Metroplex. Made of ABS, POM and PVC.